Most of the people using Facebook account for connecting with friends. Many companies are also using Facebook to promote there brand on Facebook. But now its the real issue of individuals Facebook account getting hacked. A certain indication that your account has been hacked is not being able to log in. This happens when the scammer who hacked your account changes your password. You can’t change it back because you no longer know what it is. If your account is hacked or compromised you can recover it easily with the help of Facebook. Here are the some ways which helps you to recover your Hacked Facebook Account. Step 1. If you still login your account and think your Facebook Account is compromised. Go to http://www.Facebook.com/hacked and ask Facebook to SECURE YOUR ACCOUNT. Step 2. After the confirmation, Facebook locked your account, you can’t use it yet, the scammer can’t access it either. Now complete the Facebook form to Unlock your Account. Step 1. 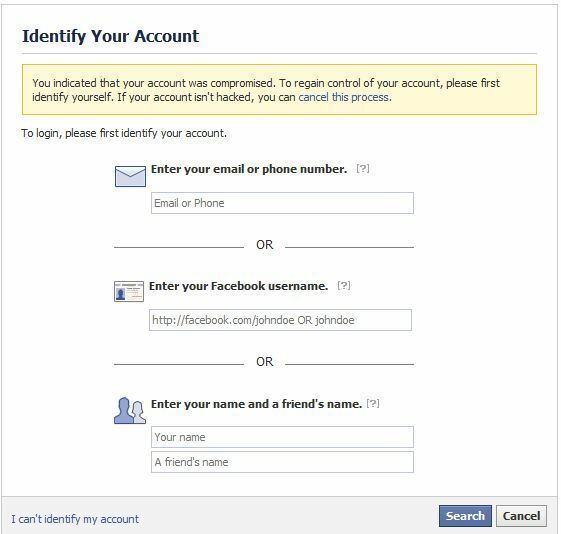 If scammer who hacked your account changes your password and you can,t login your account, again go to this link http://www.Facebook.com/hacked now this time facebook will help you to regain control of your account. Step 2. Now Facebook will ask you to Enter Your Email Address or Your Facebook User name or Your Name and Friends name to identify yourself, so that you can regain control of your account. Step 3. 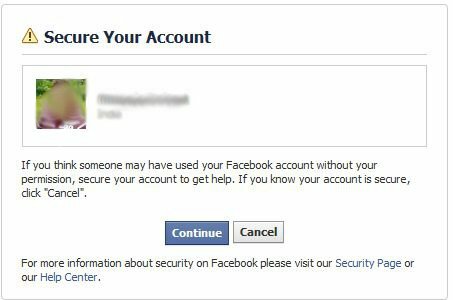 After completing the form you can recover your hacked facebook account easily. Once you’ve recovered your account, be sure to set up these advanced security features to your account. And always use these Tips to Avoid Facebook Scams. Don’t forget to join us on Facebook for updates. I need a help my facebook account has been Hacked by someone.so please could you help me. I can’t remover my facebook account? I think my facebook account was hack? I can’t recover my facebook account? my account was hacked and i found it difficult to regain it because the hacker changed in my login details to his , by taking away my phone number as my log in , and replacing it with his email address. now any verification all now goes to his email account. please what can i do? how can you help me in this matter .! my id was hacked please help me. I just want to delete my account but it is hacked i cannot recover it can you help me. Hi Facebook team please help my account for recover from reported my account almost 1months .how to be back? Because my accouont was hacked my account is locked. Facebook will not let me into Facebook.com, so I can’t do anything. They will let me in if I give my original password, but I am pretty sure the hacker changed my password. So I am totally blocked I can’t get in, I can’t delete the account. No solution that requires me to access Facebook will work.